So you’ve decided that you need either or an entirely new network for your business or a network overhaul. But you already know that all networking companies are not created equal. What else do you need to know about networking companies in southern California? Fact #1 – There are several manufacturers that develop and sell networking hardware and software. Because of the variety of hardware and software options, it’s important that you research to find a networking company that specializes in at least one of the big players – like Cisco. By partnering with a networking company that has close ties to a major manufacturer, you’re more likely to get better support and an expert – not just someone that knows a little about a bunch of different networking hardware systems. Fact #2 – There are two different business models that networking companies use. The first model is the break/fix model. The companies that employ this model as their main business strategy will implement your network and fix it when it breaks down but aren’t interested in being involved a day-to-day monitoring and efficiency strategy. They want to make their money on hours and materials. The second model is the managed services model. In this business strategy, the networking company implements, manages, maintains, and monitors your company’s physical, virtual, and wireless network in return for a monthly subscription fee. This model provides the highest level of service and efficiency-related uptime because the networking company is financially motivated to keep your networks in top form. Fact #3 – Companies that specialize in networking have company executives that are leaders in the field of networking. A business that is led by networking experts is more likely to have lower-tier techs that also have serious networking credentials and experience. After all, company leaders set the tone for their organization. If networking expertise is the example set by top leadership, it will filter down to the rest of the organization. For example, LA Networks’ Chief Networking Architect, Jason Bomar, is slated to speak at Cisco Live in Orlando Florida on June 10th, 2018. The inclusion of Jason Bomar in the roster of industry experts shows the respect that other networking company professionals have for his opinion and instruction. Why was Jason Bomar invited to speak at Cisco Live? Jason has been working in the field of networking for the past twenty years. In that time, he has implemented and managed networks in organizations ranging from small businesses to ISP networks and corporate-size organizations. With that experience under his belt, Jason’s opinion is valued for his insight into the nuances of network automation, switching, routing, and SDN. In addition to his expertise, Jason’s position as one of the leaders (and founders) of the country’s oldest Cisco user group (SCCUG) positions him as an authority on networking. Jason’s topic for the Cisco Live event is Amazon Web Services (AWS) – one of the world’s largest cloud providers. 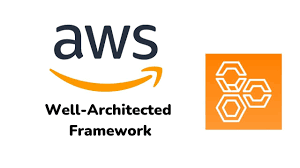 The session that Jason Bomar is leading will give both a general overview of AWS and will get into some of the finer points of the AWS service. As part of his AWS presentation, Jason will introduce the listeners to finer aspects of networking (NAT’ing, redundancy, routing, etc.) within the AWS cloud. What Skill Sets Should You Be Looking for in a Southern California Networking Company? Connecting offices at a distance can be a challenge sometimes. This is where Hybrid WAN technology comes into play. Hybrid Wan uses an integration of T3 links, carrier Ethernet, and MPLS (Multiprotocol Label Switching) to bring down the cost to you, provide you with a better bandwidth solution, and secure your operational data flow. The function of routing is to ensure that the data you send along your network goes along the most efficient routes to land at its final destination. Without a good routing solution, your data can become clogged in overcrowded network arteries – slowing workflow and lowering your employees’ efficiency and productivity. In this scenario, a centralized network overlay operates as the control center of your virtual routers. This option saves large networks a lot of time and effort on the back end when a router update has to be done company-wide. Additionally, increased security and higher network performance are often associated with SDWAN. By using virtualization in combination with best practices, a good southern California networking company can help your network operate at its highest capacity and speed. Some of the tactics used to accomplish this automation are compression, latency optimization, and deduplication. The goal of switch management is low latency and increased efficiency. To get to this goal, a network manager must understand how various options will impact the system – from the expansion of ports to a more involved IDF refresh. Each choice a networking company makes regarding your switches will impact your ability to achieve optimal network performance. WIFI is everywhere! As a result, WIFI may be the network facet that is most often poorly configured, managed, and maintained. The problem is, this situation leads to high vulnerability and poor performance. It’s essential to bring in a company that specializes in networking in order to leverage secure, efficient WIFI for your employees’ workflow. Because today’s data centers also host storage, applications, and virtual machines, networking companies must be able to bring harmony and speed to all of these processes simultaneously while providing a high level of security. A good networking company will talk with you about the ongoing management of your network. It’s not enough to set up a network and then walk away. For security, reliability, and efficiency, networks must be consistently maintained and monitored. Network management protocols are designed to keep your network available, enable your network to operate at its highest capacity and to help protect your business systems from unauthorized access. Why Choose LA Networks to Design, Implement, Manage, Maintain, and Monitor Your Networks?